Small as a mouse, fast as a cheetah and available for free. 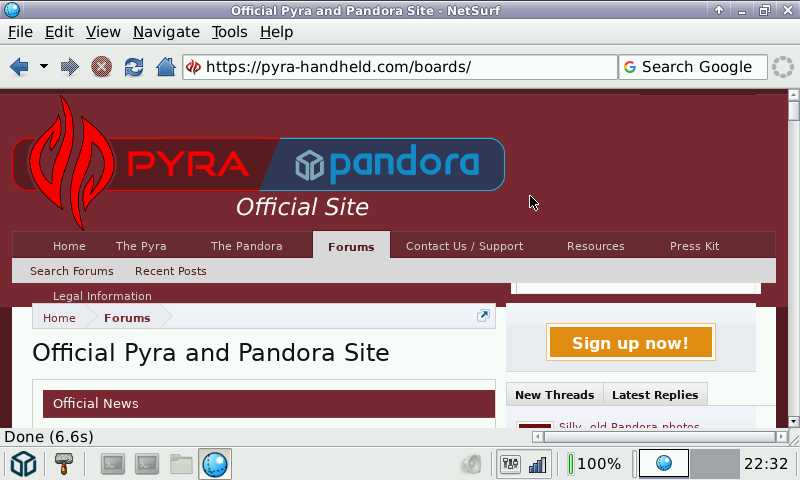 NetSurf is a multi-platform web browser for RISC OS, UNIX-like platforms (including Linux), Mac OS X, and more. Whether you want to check your webmail, read the news or post to discussion forums, NetSurf is your lightweight gateway to the world wide web. Actively developed, NetSurf is continually evolving and improving. Written in C, this award winning open source project features its own layout engine. It is licensed under GPL version 2. Not much to say. This version doesn't include Video support with gst-streamer. I may try to add it, but the point here was to keep it as lightweight as possible.